Some of my fondest childhood memories involve booting up my parents’ Macintosh Plus to play Super Munchers or make pixelated masterpieces in MacPaint. 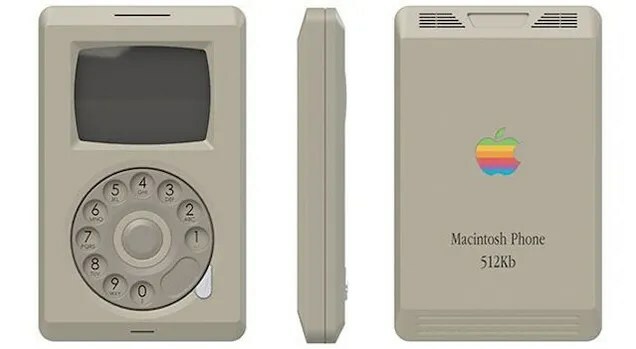 Alas, Apple hadn’t gotten into mobile devices just yet, but that didn’t stop Pierre Cerveau from imagining what the tech giant’s very first smartphone might have looked like if it were made in the 80s, too. Posted by joetheflow on July 23, 2015 in Gadgets, I Don't Know, iPhone, iPhone/iPad, iPhone/iPad and tagged Apple iPhone, iPhone, iphone 1985.